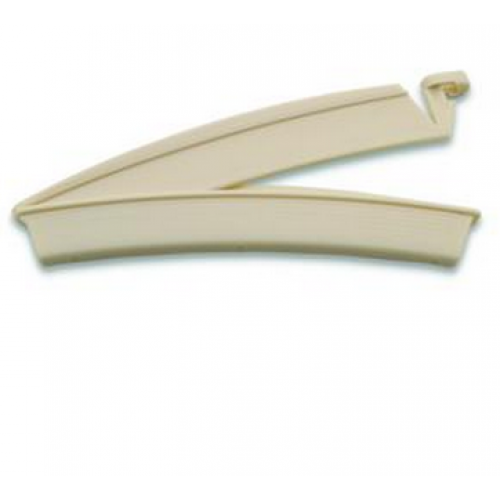 Ostomy Drainable Pouch Clamp is a precision molded Hollister medical ostomy pouch clamp that is easy to use, locks securely and is supremely comfortable. Ideal for use with a drainable Hollister bag pouch, this clamp is specifically curved to fit the precise contours of the body. This strong, secure and fail-proof Hollister medical ostomy clamp provides the ultimate protection against leaks. Ostomy Drainable Pouch Clamp is included in every box of Hollister drainable pouches and can also be purchased separately on this web page. This is the ideal clamp for rustle-free odor barrier Hollister bag film pouches. You may also be interested in similar medical clamps and ostomy supplies, such as Duo Lock Curved Tail Ostomy Closure. Precision molded plastic locks securely, preventing leakage throughout the day. Specifically designed curves fit the contours of the body, providing a more comfortable and carefree fit. Clamp is included in every box of Hollister drainable pouches and can be purchased separately on this web page. Ideal for usage with Hollister rustle-free odor barrier film pouches. Great clamps. Strong hold. No worries. 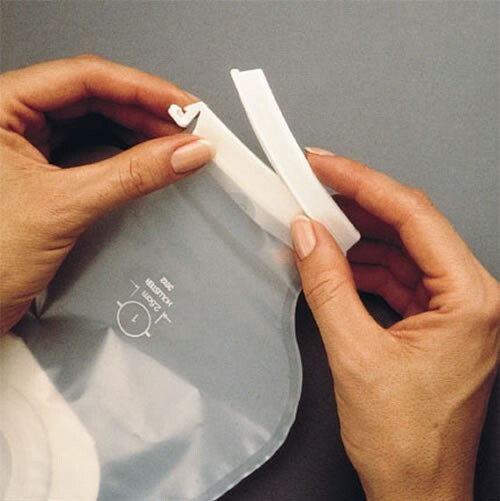 My husband uses the 2 piece bags with the drainable pouch, it has velcro and we use these clamps for added security. At the hospital, the nurses didn't use the clamps and his bag would always leak before 2 days was up. The clamps sure does help to keep it from leaking! Great product and will continue to use it!